The Elk River- For those who found a window to fish over the past week or so, it was a good idea to get on the river. The Elk is now flowing 2700 + CFS and fishing is tough. We are hoping for a break in the flow over the weekend days, but not really counting on it. None-the-less we have scheduled trips and hope most, if not all, will go ahead as planned. The South Holston River: This week loaded the drifter and headed to Upper East TN. The SoHo was tough fishing for all boats on the river. We had a pretty good day and in spite of the long faces in other boats, we were lucky and fared pretty well. Day two was much tougher with our early start. Fish are hitting nymphs while TVA is running one generator. Try the regular nymphs and look hard for the different holes, because all the fish we caught were holding in pockets. 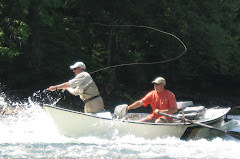 The Caney Fork River- There have been a few open hours on the weekend days. The water is an off-green color and the fish have to look hard for anything dead-drifted. Swinging soft hackles and stripping streamers can be productive. Look for fish holding in the usual places, but the usual tactics may not produce in the usual ways. With the break in the weather we are hoping the next month should give us more windows as the springtime floats get underway. The Watauga River- We floated the Watauga on 2700 CFS the other day too. Now TVA has dialed back the release and it is at a perfect level for floating. The Caddis hatch is starting and the fish are starting to look up. Fish nymphs until they start hitting on top. then fish your favorite Caddis and Sulphur patterns. Streamers will get some action as long as they are dark in color. Email us if you are looking for a guide and we can get you in touch with someone who can provide a nice day on the river. The Center Hill Dam is blowing a lot of water right now. We can float the Caney on the current generation but it is not as productive as we like. Streamers are the way to go and something with a little bit of weight to break the surface of the water is the streamer of choice. Knotting that streamer to a full sink line will get it in the zone. Tims Ford Dam is generating throughout the day with some small windows of wading opportunity on the Elk being the norm. Watch out for unexpected releases as the schedule has been a bit inconsistent over the past few days. Nymphs are fishing best right now and swinging a streamer on falling water, if you can catch it, is productive. White Bass have been keeping things busy on the Stones between torrential downpours and rising waters. This river is very scenic with some good runs, long pools and rock walls to keep anglers busy with their next choice of fishy water. We get on the Stones a few times during springtime and have some good trips when time permits. When the water level gets right the fish are responding to small streamers, well in relation to musky flies the offerings are small. Yellow, white and some patterns with lots of flash are working well. 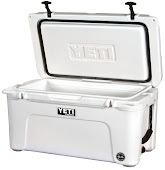 Pick something that pushes a good-bit of water and you will find a fly that is worth taking out of the box. Articulation is working right now, especially with the stained water conditions. As Spring showers roll through Middle TN we are scheduling trips and a lot of time we are rescheduling them as well. The rain will not last forever though and soon we will get into a more stable weather pattern. A more stable weather pattern or should I say less rain will allow anglers to get into the casting braces and we will be bringing trout to the net again. For those who have been rescheduling trips thank you for working with us and for those who have your days scheduled in the future we are keeping our fingers crossed. We are getting people on the water well into May but still have some open dates. For those itching to get out there just email, call, or text, to schedule time in the casting braces. Howard has been aboard the drifter many times and has brought along other folks on occasion. Today he brought along his grandson and namesake Howard for some quality time. The younger Howard had fished with a fly rod before this trip, but still had a bit of a learning curve. We used some of the usual teaching methods and some bantering to get him into a groove. Although he was relatively new one the fly rod he made progress throughout the day. Within the first 10 minutes he had missed a couple and brought fish to the net. This young man was getting some line out and getting a good mend. The fish were responding and we were making our way down the river. He was well past the rookie stage in quick manner. Both anglers were hooking up and we had several doubles throughout the day. We hit some particularly productive waters and at one point the guys gave us the first triple of the year. The skies were clear and had been clear throughout the night before. The water was still stained from a previous rain, which made the fishing tough at times, but we would hit pockets of fish and could bring good numbers to the boat in short periods of time. I had been talking to Howard about the new midges and how well they had been working. I should have just kept my lips sealed because we tried them for a short time and they produced a goose egg. That's the way it goes sometimes... It didn't take long for us to get back to the nymphs and back into fish. We made a couple stops along the way and the guys fished a pretty good run on foot. The run gave them some good tugs and bent rods, while it tested their dead drift skills. The guys tested some flies with sharp hook sets and the fish tested their fighting abilities with fat lips. The hours kept passing as did the miles. Soon we were starting to see a bug here and there. Big caddis, about size #12, were starting to show themselves, but I don't think any of us were ready for what we were about to see. We were about to float into one of the best caddis hatches of the year. This hatch rivals some of the best hatches either Howard or I have seen. The bugs were coming up the river in good numbers and were hanging around every branch that extended over the river. So we knotted up an Elk Hair Caddis, which just happened to match in size and color. Howard made a couple casts then dropped the fly in front of a rising fish. 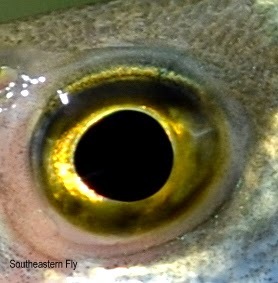 The fly floated a short distance into the previous rise ring and then the fish rose to the fly. Howard set the hook... That hook set started the quest to catch more fish on the dry. We moved from rising fish to rising fish offering the dry while our junior Howard was bringing it home with the nymph. Our former rookie drifted his nymph through the last leg of the trip bringing in good numbers to too-off the day and this pleased us all. So on this float a new angler was introduced to the river and another angler was able to get fish on his dry fly. Spending time with family on the water is quality time, definitely quality time. We have been able to catch falling water as of late and the fishing has been pretty good. The numbers of fish has been nice and anglers have been busy for the most part. Nymphs are the best way to give the fish a fat lip, right now, but there are more and more bugs popping. With more bugs starting to show themselves we may have a chance for a little dry fly action in the near future, mostly in the evenings. So on falling water we slid the drifter out in the current with Alex in the front casting brace and John in the rear brace. We moved downstream with the current and soon the guys were working structure along the seams. Right on time the fish began to respond. Alex had the hot hand early and left John to fend for himself. Both the guys were sticking fish on a fairly regular basis. It's early Spring and the wildlife is really out and about right now. We have seen the owls over the past several years but they have been far away. The picture above was taken on this trip and although it was a bit out of range for the lens, it did hang around until we passed. The fish seem to be enjoying the weather as well and jump to enjoy it every chance they get. Alex kept sticking most every fish that swam by and John wasn't too far behind. But just before lunch John got on a roll and brought his count up enough to call it even. Father and son were having a good day with some lighthearted bantering thrown about to keep things interesting. The afternoon was a repeat of the morning portion of the float. Cast, mend, set the hook and bring the fish to the net. The Tutto brought some good fish to the net with "everything" on the Tutto tricking the fish, Alex was getting his share of takes. John, who remember was batting clean-up in the rear seat, wasn't letting the leftovers slip past. It is Spring and things outside are beginning to come back to life. The fishing is making the transition from Winter to Spring easier and as the weeks roll along it is getting better, on most days anyway. The fish are beginning to look up which is making life in the rowers seat even more enjoyable. Not sure if the fish are biting? You don't know if you don't go. The Elk River- The river has been fishing good as of late. The bottom of the river has that early Spring look. Most of the excess vegetation on the riverbed has been cleaned off but there is still enough to cover the right places. Look for the white rock on the riverbed. Float the nymph at the transition from the white rock to the gravel. The fish are laying along the gravel and they watch for food coming across the edges of the rock. There has been some bug activity throughout the past week. The midges are there as usual throughout the day. The fish don't key into the midge activity on the top. They key in on the midges as they ascend to the top and eat them throughout the water column. We pick up fish eating the midges with nymphs fished deep. A soft hackle can get'em fished just under the surface in moving water while angler's wade. But, the nymph will usually get them more often than not. The caddis hatch is where we have been having some action on top. The hatch has to be caught at just the right time, but like all good hatches a fish can be caught on the dry once they figure out what exactly is happening. All the trout apparently do not recognize the hatch because with as many fish as there are in the river, there aren't a huge number of fish eating during even the biggest of hatches. That's OK we still get more activity even on nymphs during the hatches. 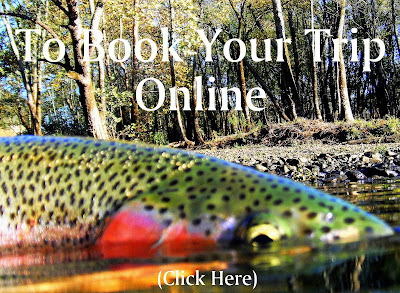 To book a trip on the Elk just contact us using the information below. These floats are all day long so there are plenty of shots at fish. It is an excellent river to work on fly fishing techniques and this river has helped a good number of anglers get themselves ready for the Summer to come. The Caney Fork River- It has been a difficult to get a good float the past few months. The generation has been non-stop with only short windows when the Corps had to make generator adjustments or to do some of the work inside the dam. The rest of the time it's been water, water and more water. But they are finally giving us a few hours of low water on the weekend days and we are taking advantage. The wildlife is out here and the beavers have been making their presence known. Remember these things are not tame so don't stumble into their presence without knowing where they are located. But this is a fishing report so here we go. There are still small minnow size shad coming through the generators and the gulls will let you know when the shad hatch is on. The water has been a little on the green side especially after the rains. Hopefully this stain will leave over the next few weeks. Both streamers and nymphs have brought us some action on the Caney. White streamers are the hot ticket and actually some olive will work as well while the water is stained. Nymphs fished along structure also will bring some fish to the net. We are fishing nymphs real close to structure and that's producing some action. Sight fishing isn't really happening right now with off-color water. But, we are fishing to the rise ring with every opportunity. Anglers have to place the fly just right, but this has been productive for us. There is a bit of luck involved but we have found a way to make it work when others have been leaving the river with long faces. Search for those rise rings and fish to them. Now we hope for less rain and certainly no big rain events in the coming weeks. The river will come around as the water clears and the fish can see our offerings a little more clearly. Persistence is the hot ticket right now.